The terms “mixer” and “blender” are used interchangeably on this page. 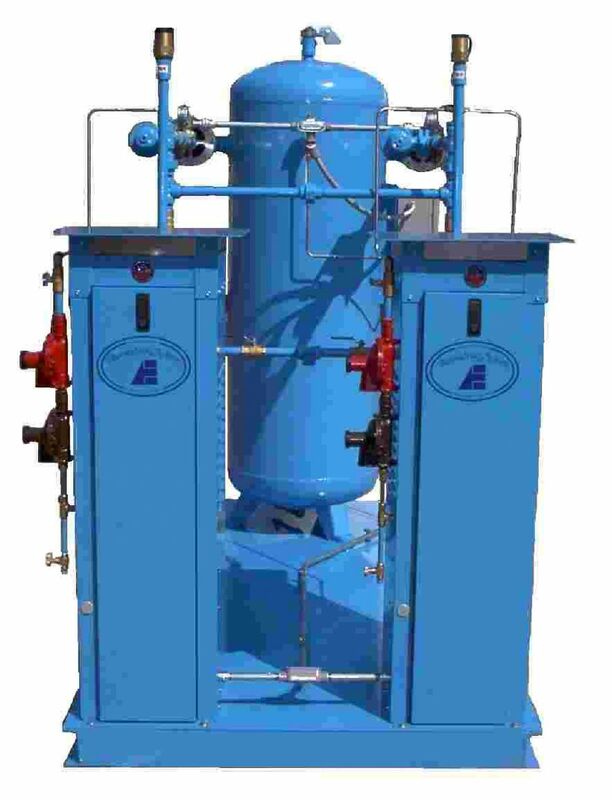 Both describe a device which is used to mix two gases at preset or variable ratios. 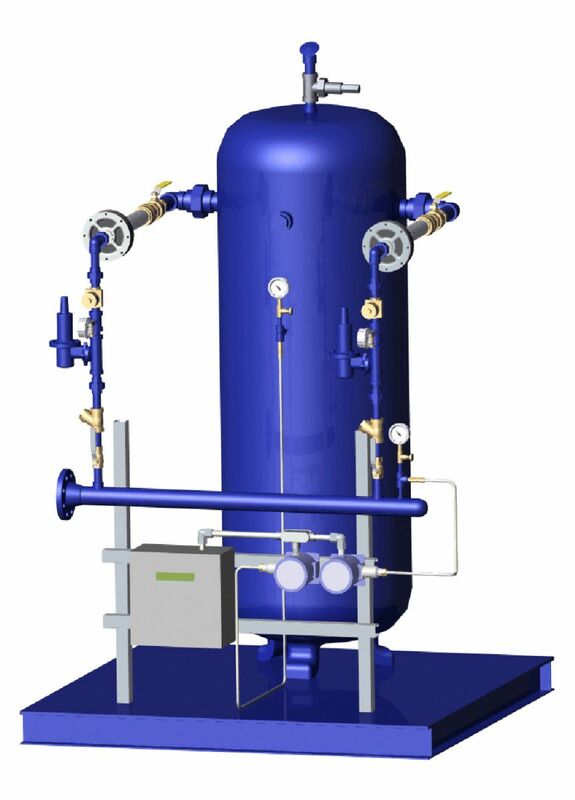 The majority of applications will be for simulating natural gas with a mixture of LPG vapor and air, so that the mixture becomes directly compatible and interchangeable with natural gas. Other applications include the “conditioning”, or “stabilization”, of natural gas, in order to produce gas with constant calorific properties, which is essential for many industrial processes. 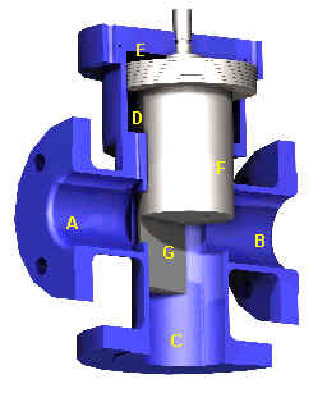 For larger system capacities, or for higher system pressures, AES has developed, and received national and international patents for, a Piston Operated Mixer (POM). This mixer type utilizes very simple, yet extremely effective components, making this mixer probably the easiest to operate, most reliable, easiest to control, most stable mixer on the market today. It combines the advantages of “floating orifice” type mixers and “proportional blenders” in one compact unit. In times of uncertain oil prices and supplies, a standby system should be considered by all natural gas users. A simple analogy is that – we keep a spare tire for our automobile in the event of a flat – a standby system is a spare fuel supply in the event natural gas is interrupted or demand cannot be met. For most users, however, standby systems for natural gas offer the opportunity to take advantage of steep discounts their gas utilities offer to customers who switch to an “interruptible rate”. To learn more about interruptible rates and how they can pay for a standby system in very short periods of time, and thereafter continuously contribute to “the bottom line” of business, call Alternate Energy Systems at +1 770 487 8596.